Can Trump and Kim Make a Deal? 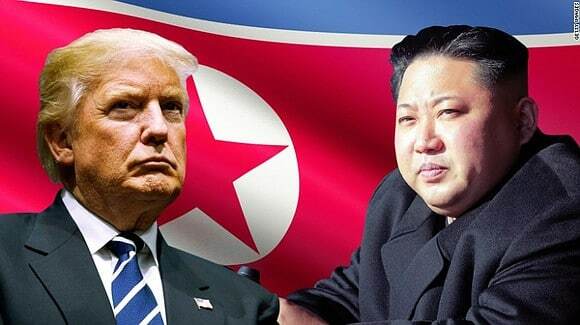 President Donald Trump and his North Korean counterpart, Kim Jong-Un, are due to meet for a historic summit in an as-yet-undisclosed location to try and resolve the nuclear stand-off on the Korean Peninsula. For academics who study the potential of face-to-face diplomacy to de-escalate and transform conflicts, the summit – assuming it actually takes place – is a fascinating case for testing the validity of their theories and prescriptions. The meeting of Trump and Kim raises the tantalizing possibility that these two leaders might be able to cut a deal that reduces the threat that each fears from the other, but for that to happen, each will have to trust in the other’s assurances that they do not have malign intent. The question is: can these two leaders develop this level of trust through a face-to-face meeting? Alternatively, could one or both leave the meeting, not only disappointed that the other did not do more to make a deal possible but feeling that he has been played, leading to a psychological backlash that could drive up the risks of war? The North Korean leader fears that if he lets up on his development of an Intercontinental Ballistic Missile capability that can hold US cities nuclear hostage, then the Trump Administration will feel emboldened to press what Kim fears is its goal of regime change. Conversely, Trump’s key advisors, especially the newly-appointed National Security Advisor John Bolton, apply to North Korean intentions “an ‘inherent bad faith’ model”. This leads decisionmakers to interpret any conciliatory move on the part of an adversary as a trick, aimed at lulling their opponent into a false sense of security. If Kim agrees to freeze or even rollback his ICBM development – the aspect of his programme that most worries the US – can the North Korean crucially his successors – be trusted to honor this promise? At the same time, can Kim trust any promises that Trump makes regarding North Korea’s security, given the President has such a reputation for unpredictability and is contemplating US withdrawal from the Iran nuclear deal? Will Trump and Kim be able through a face-to-face meeting to overcome the visceral distrust between them? In my new book, Trusting Enemies: Interpersonal Relationships in International Conflict, I consider how interpersonal trust can develop between two state leaders through face-to-face interaction. The first step is the importance of state leaders exercising empathy for their counterparts, and crucially recognizing how their own actions have made the other fearful and insecure — the “security dilemma sensibility”. Ronald Reagan and Mikhail Gorbachev, whose diplomatic summitry was essential to the ending of the Cold War, both exercised this sensibility before their first face-to-face encounter in Geneva in November 1985. By contrast, Trump and Kim will enter the room holding a bad-faith model of the other. The hope has to be that empathy of the kind displayed by Reagan and Gorbachev can develop out of the face-to-face encounter itself. The reciprocal exercise of security dilemma sensibility is a necessary condition for the development of interpersonal trust, but it is not a sufficient one. Trust also develops out of a process of social bonding that is engendered by face-to-face interaction. Trump has said of past US leaders that they lacked the “chemistry” to achieve a breakthrough with Russian leaders, but one of the fascinating questions is Trump and Kim meet is whether they can hit it off. The outcome of the Korean nuclear conflict either in war or a peaceful accommodation could rest on the answer.